Beauty Care Choices: Little Secrets for polishing your nails! If you are out of your favorite Quick Dry product for drying your nail polish faster, dip your painted nails in a bowl of ice-cold water to help them dry faster! Rub a small amount of olive oil around your nails before you polish or begin an art design. It makes removing little "outside the line" mistakes much easier. Hide a chip in your new manicure by putting a quick coat of a sparkle polish over it. The glittery polish is supposed to look sort of uneven, so it hides the chip and adds a bit of jazz until you have the time to re-do. When adding decals to your polished manicure, be sure to seal with a clear top coat. It keeps the edges of the decal from peeling and gives a much more authentic painted-on look to the art! Glitter polish can stick to your nails like crazy when your trying to remove it. Use a small pad of felt, rather than a cotton ball...it works like a gentle scrub pad! Good idea with the felt to remove glitter. I never knew I could dip my nails in ice-cold water to help them dry faster! So many fabulous tips! Thanks for sharing with us! These are all great tips. I especially love the one about removing polish with felt instead of cotton to remove glitter. I have had a hard time with that myself. I would of never thought of dipping my nails in cold water. I would of thought it would ruin my polish. I have got to try this next time. 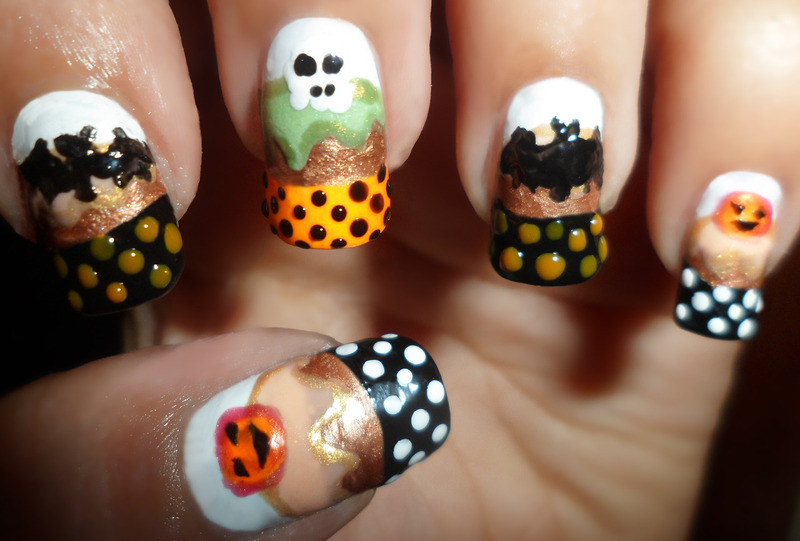 The Halloween Nails are soooo cute. Love the Halloween nails, great tips! Great tips! Glittery nail polish is such a pain to remove, I will have to try the felt next time.